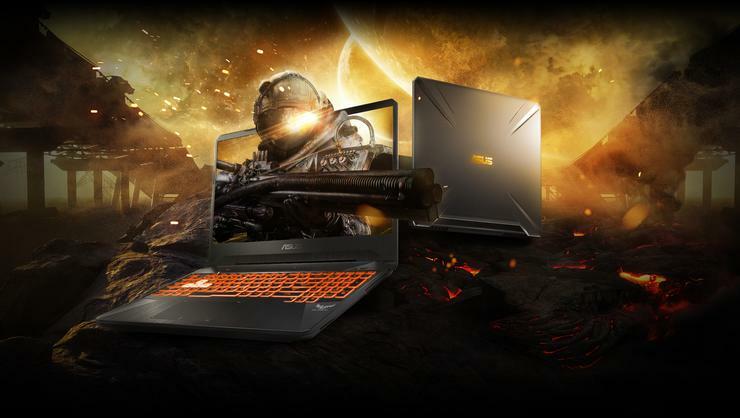 ASUS has officially announced its first two TUF-branded gaming laptops, the FX505 and FX705 at this year's IFA Conference in Berlin. The biggest difference between the two models is screen size, with the FX505 weighing in at 15.6-inches and the FX705 coming in at 17.3-inches. Beyond that, both laptops features 8th Gen Intel Core CPU, FHD IPS-level NanoEdge displays, Nvidia GeForce GTX 1060 GPU, 32GB of RAM, a 512GB PCIe SSD and a 1TB FireCuda solid-state hybrid drive. As part of ASUS' TUF Gaming branding, the FX505 and FX705 also emphasize durability. They both boast military-grade MIL-STD-810G certification for drop damage. In addition, the "HyperStrike" keyboards found in both models uses switches rated for 20 million key presses. The ASUS TUF Gaming FX505 and FX705 will be available in Australia from late October. Pricing and configurations will be announced at launch.